Our C250 Heavy Duty Access Covers are durable and made to last. These sewer covers are available with either a single or double seal. Made with ductile iron, these access covers are impressively strong. These heavy duty manhole covers are coated with black bitumen. When it comes time to replace your sewer covers, it’s essential that you pick heavy duty manhole covers that you can rely on. At Fiberpol, we have the perfect access covers for your needs. 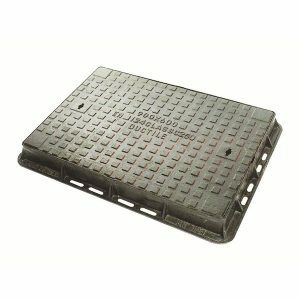 These C250 Heavy Duty Access Covers are designed for strength and durability, and they are made with ductile iron, which improves their weight to strength ratio. Shop Fiberpol today to find the best heavy duty manhole covers in Barbados.